I'll keep this short and sweet. 3d systems is still the undisputed king of the mountain in the 3d printing industry. They generate more revenue, more gross profit, more operating profit and more net income than all their competitors. See my updated report which includes their most recent 3rd quarter results and additional analysis. 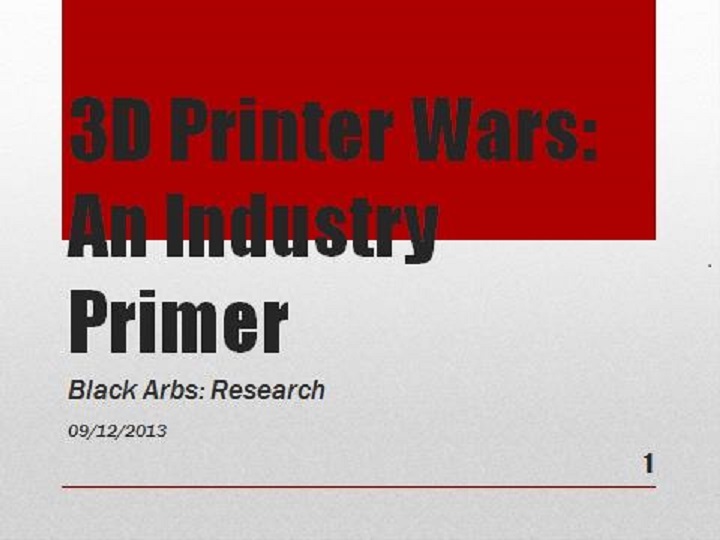 Here is a presentation I created focusing on the Additive Manufacturing Industry aka the 3d Printing Industry. I will examine individual firms within the 3d printing industry in an ongoing effort to look for potential profit opportunities in this revolutionary space.